The new year has just begun and its back to business as usual with sights on bigger business goals. All that will not be possible if your communication channels don’t run smoothly. At FaxFX we are concerned about ensuring that all our customers are able to send and receive the communication with all their stakeholders. We also understand that navigating the world of Fax to email can be challenging. We highlight more frequently asked questions about fax to email to help you stay connected. Can I send a fax to more than one fax number at a time? Yes you can. This is because as opposed to traditional fax, fax to email faxes are sent from your email inbox, so as with all emails you can have multiple recipients. What happens to my fax number if I change my email address? You can keep your fax number even when you change your email address. Simply follow the steps to log in, then select “account”, then proceed to “my details” and then “change email address”. How long will I have to wait before I am issued a fax number? With our fax to email service, there are no delays. 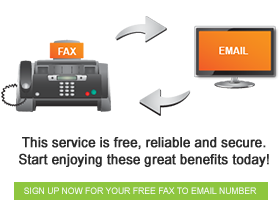 As soon as you complete the sign up process number will be allocated to your email address, and you will be ready to start sending and receiving faxes. If you ever have challenges using the fax to email service, do not hesitate toc all our customer care line 0667272345. ⇐ How Does Online Fax Work?